Like the Hezbollah, the Hamas organization, founded in 1987 by the Sunni Muslims with the intent of eradicating Israel from what is perceived as Palestinian territory, has slowly evolved from strict militants to include a political force that offers social benefits to its members. 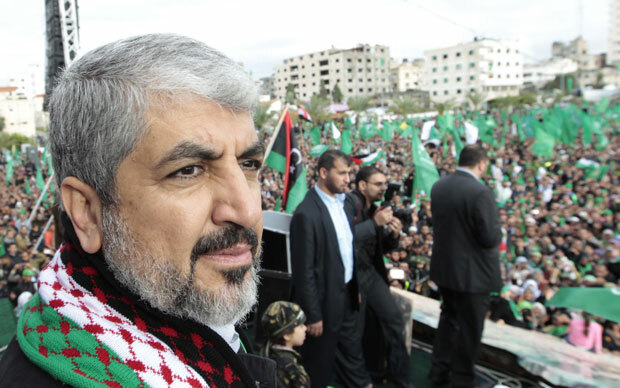 The current political leader of Hamas is Khaled Mashal, who succeeded Abdel Aziz al-Rantisi. Al-Rantisi was assassinated in 2004. While Hamas is often active in Palestine and constantly working as a force against Israeli occupation, it is headquartered in Doha, Qatar. The military wing has launched attacks against Israeli soldiers and civilians, using suicide bombings and rocket attacks. The militants first used rifles but eventually used homemade rockets and later acquired long-range rockets that have reached major Israeli cities that included Tel Aviv and Haifa. Because the attacks have killed and wounded civilians, they have been condemned as crimes against humanity. And Hamas has been labeled as a terrorist group by the United States, Israel and various other nations. Hamas operates under a charter, drafted in 1988, that calls for the liberation of Palestine from Israeli occupation and establishing an Islamic state in what is now Israel, including the West Bank and the Gaza Strip. During negotiations urged by the United States, Hamas has suggested that it may accept a 10-year truce if Israel withdraws to the 1967 borders, before the six-day war, and allow Palestinian refugees from 1948 and their descendants to return to the old Palestine as it once existed. Naturally this has not been acceptable to Zionists in Israel. On the political front, things have become extremely complicated, and difficult for outsiders to grasp. In January 2006 Hamas won a clear majority victory in the Palestinian Parliament, defeating the PLO-linked Fatah party. After this, the “Quartet” comprised of the United States, Russia, United Nations and European Union, offered foreign assistance but conditional on the new government’s commitment to non-violence and recognition of the State of Israel. Hamas rejected the offer and foreign assistance was cut off. In March, 2007, a national unity government headed by Prime Minister Ismail Haniyeh of Hamas was formed. But this government failed to achieve international financial assistance. Tensions developed over control of Palestinian security forces which led to the Battle of Gaza. Hamas seized control of Gaza but its leaders were ousted from government positions on the West Bank. Israel and Egypt then imposed an economic blockade of the Gaza Strip. In 2011 Hamas and Fatah came to a reconciliation agreement to establish a “joint caretaker Palestinian government. But that did not happen. Instead there was an agreement to form a compromise unity government. A new conflict between Israel and Hamas developed in 2014 after it was learned that Hamas was building a network of tunnels under Palestinian borders and using them to transport and store military arms. Israeli forces set out to destroy the tunnels. Hamas also is involved in a variety of social services to Palestinians. The agency operates schools, orphanages, mosques, hospitals, healthcare clinics, soup kitchens and even sports leagues. Families of soldiers killed in battle are granted financial assistance, as are families whose homes have been destroyed. The political makeup of Hamas is about as complicated as the one that operates in the United States. The main Political Bureau has 15 members elected by representatives from local Consultative Councils in various geographic regions in Gaza, the West Bank, Israeli prisons and even exiled external leadership. In the West Bank and Gaza, local committees, known as Shura, carry out the decisions of the councils.